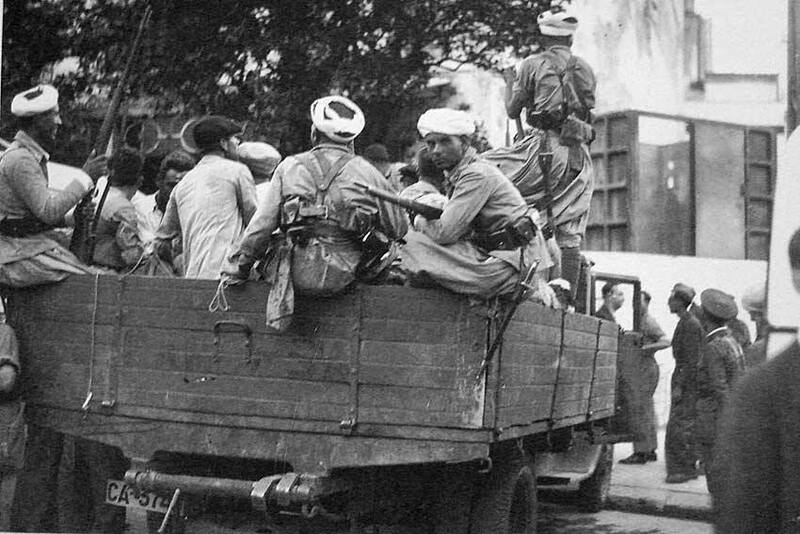 army and, on 17th-18th July 1936, they launched a military coup which, in turn, triggered a civil war. The rebel generals, including Francisco Franco, were eagerly supported by Hitler’s Germany, which readily dispatched most of its airforce to their assistance, and by Mussolini’s Italy, which sent division after division of ground troops to supplement Franco’s forces. 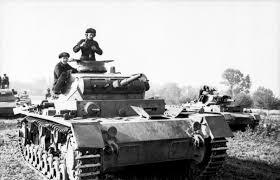 Ranged against this “fascist clan” were those army units that had remained loyal to the Republic; the tanks and military advisors sent to help the Republic by Stalin’s Russia; various workers’ militias; and 35,000 sympathetic volunteers from 54 different countries, making up the republican army’s International Brigades. Three desperate years followed, and half a million people died in the conflict, either on the battlefield, or by execution, or in bombing raids. And in the aftermath of the war itself, it’s estimated that the victorious side – Franco’s Nationalists – was responsible for the execution of a further 100,000 Republican supporters or more, and the death of 35,000 more in concentration camps. The success of the planned military coup depended heavily on the rebels being able to deploy Spain’s Army of Africa – based in Spanish Morocco – and this, in turn, depended on the leadership of its commander, General Francisco Franco. But, early in July 1936, Franco had been posted to the Canary Isles and they needed a way to have him back in Morocco. So one of Franco’s advisers, Luis Bolín, hired Welshman Cecil Bebb to fly his DH89 Dragon Rapide all the way from Croydon to Morocco (Bebb was joined on the flight by Bolín himself, and also by British Intelligence officer, Major Hugh Pollard) and then await further orders. These he received, continued his flight to Las Palmas, where he collected Franco and delivered him to Tetuán early on 19th July so that the general could prepare his Moroccan troops for the invasion of mainland Spain, and join the uprising that had already begun there. 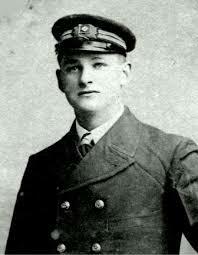 fleeing over the border into France in the north, or funneled into the port of Alicante harbour in the south, Cardiff skipper Archibald Dickson – in direct contravention of the orders from his ship’s owners – ran the gauntlet of Italian submarines to carry a final desperate group of 1,835 (detailed in Dickson’s own report) from Alicante to relative freedom aboard his small cargo ship, SS Stanbrook. It was almost the last act of the war, and many thousands of republicans, left stranded on the quaysides of Alicante would soon be incarcerated in Franco’s concentration camps, or shot by his firing squads. Madrid itself. In November 1936, Franco’s forces launched a major attack, which succeeded in forcing its way into Madrid’s university complex but, after bitter fighting, they got no further. 5,000 died on each side during the November fighting alone. Two major offensives by the rebels then attempted to entirely isolate the city, through the Jarama Valley in February 1937 and then through Guadalajara in March 1937 – though both of them failed to meet their objectives. Similarly, a Republican attempt to break the siege, at Brunete in July 1937, also ended in stalemate. Beyond that, Madrid was bombed and shelled on a daily basis until, with the war effectively over, and after infighting on the Republican side, Franco’s forces finally marched into the city on 28th March 1939. 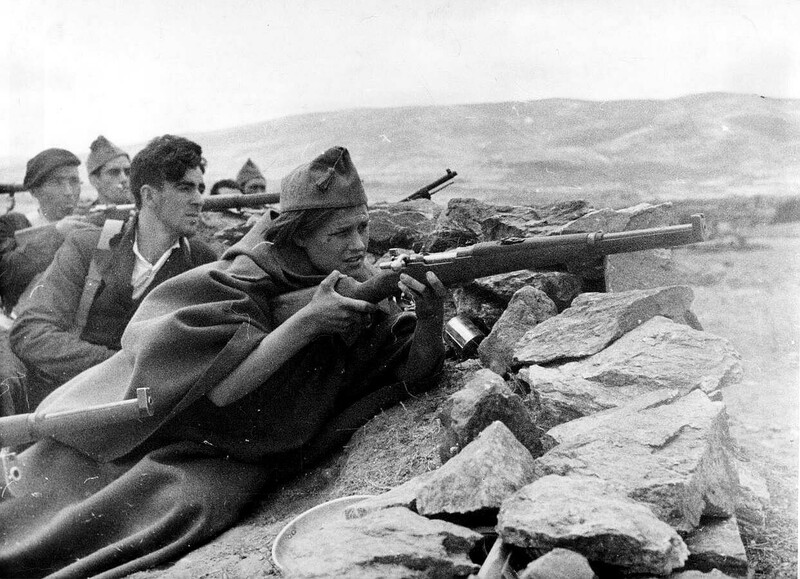 The siege became famous for the slogan coined by the Spanish Communist Party’s Dolores Ibárruri, La Pasionaria. “¡No Pasarán!” They shall not pass! And, effectively, they didn’t! The Battle for Madrid was, essentially, the first occasion that European fascism – the combined forces of Franco, Hitler and Mussolini – was stopped in its tracks. Early in 1938, Franco established an alternative Spanish Government, a nationalist government, based in Burgos, in northern Spain. He quickly introduced his own currency, the Burgos peseta, and soon afterwards, astonishingly, a National Tourist Department. Through his friend, Luis Bolín, this tourist department was soon producing brochures entitled, National Spain Invites You To Visit The War Routes of Spain – brochures circulated in various languages to all the major travel agencies of Europe. The plan was to use the tours as a propaganda tour, to spin the nationalists’ side of the story to anybody prepared to pay the £8 cost of the one-week excursion. Within weeks, they were inundated with potential punters and the first tour took place on 1st July 1938. 42 of these tours took place throughout the rest of 1938, and then an average of 88 tours in each year between 1939 and 1945. Estimates for the total number of participants vary between 6,670 and 20,000. Republican families so they could be “re-educated.” Between 1939 and 1953, Franco’s regime officially used adoptions or care homes to forcibly remove 30,000 children from “leftist” families. 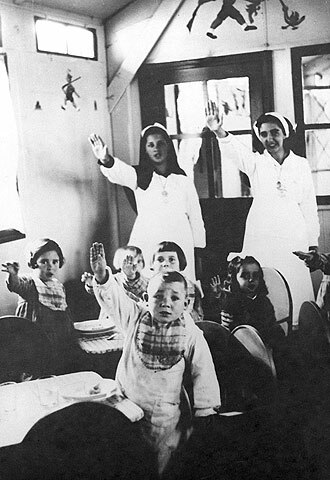 After 1953, this official policy was dropped but, by that time, the practice was so well-established that doctors, nuns and nurses continued to profit by selling tens of thousands more into adoption. Peter Anderson (Leeds University) and Montserrat Armengon have published research that shows this practice continuing well into the 1990s as an illicit trade for doctors and nuns, with as many as 300,000 children in total being “sold” for adoption. Italy. We allowed Franco’s representatives access to the British telephone exchange in Gibraltar so that they could successfully launch the coup. We allowed Franco’s Army of Africa to be airlifted through British air space over Gibraltar. We took no action whatsoever when arms-related minerals from British companies in Spain (Rio Tinto, etc) were sequestered and sent instead to Germany – Franco’s reward to Hitler for Germany’s involvement. We turned a blind eye to the 27 British ships attacked by Franco’s Italian u-boats and bombers during the conflict – 11 of the vessels being sunk. 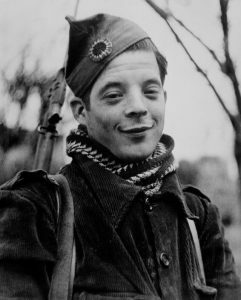 Then, to add insult to injury, the British Government decided to officially recognize Franco’s rebels many weeks before the war itself was concluded. 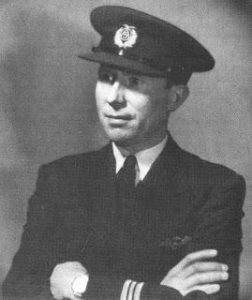 Thankfully, Britain’s reputation in Spain has been “saved” by the sacrifices made by British volunteers in the International Brigades and by the role played by heroic individuals like skipper Archibald Dickson. You can learn far more about these generally untold stories, and much more besides, at my “Five Things” presentations in libraries and bookshops. Just get in touch if you’d like to organise one locally. Picture of “Madrid Militiawoman” is actuallyof a civilian press liaison worker on the roof of party HQ on the Placa Catalunya in Barcelona. Didn’t really bother reading the rest because if you can misidentify such an iconic picture then perhaps the rest of your research can’t be up to much. Bugger! Thanks for pointing this out, Bob. In fact, the caption was right but I’d uploaded the wrong image. Corrected now. Not so much a research issue as a proofreading slip. But you’re right, I should have spotted this before pressing the “publish” button.